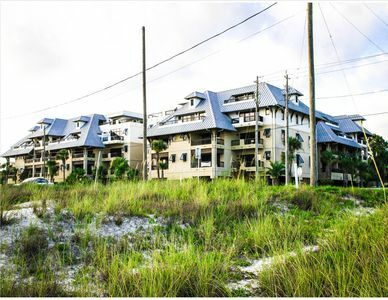 "Sunset House is a two story residence with the upstairs, downstairs (see Sunset House Up & Down) or both levels together available for rentals. 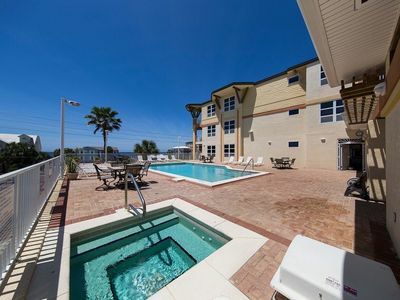 Enjoy the relaxed feel of Florida away from the hustle and bustle of traffic and crowds. This is the way a vacation is supposed to be. 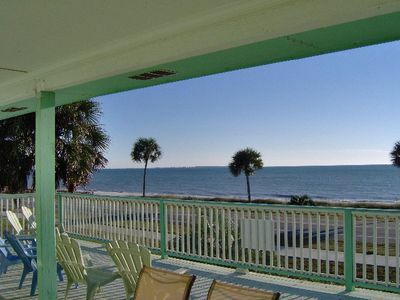 Sunset House has an unobstructed view of the Gulf and is steps away from the most beautiful sugar sand beach anywhere. The beach is very safe for families. There is no undertow due to being sheltered by the St. Joseph Peninsula and an offshore sandbar. If you'd rather, relax around the pool which is surrounded by a privacy fence. 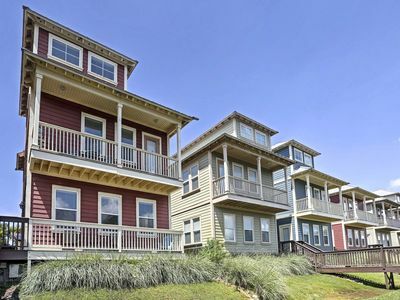 Sunset House has 4 bedrooms and 2 full baths and 2 half baths. Two bedrooms have a queen bed, a queen and a day bed in another bedroom and two queens in the last bedroom. There's also a two car garage. 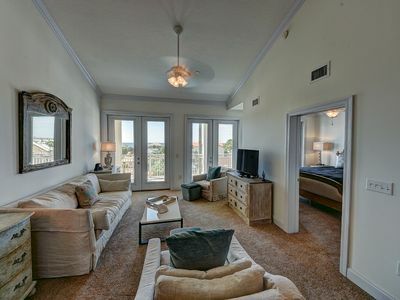 There's a 32 inch flat screen TV in the living room upstairs, TV in the downstairs living room and TV's in two bedrooms. 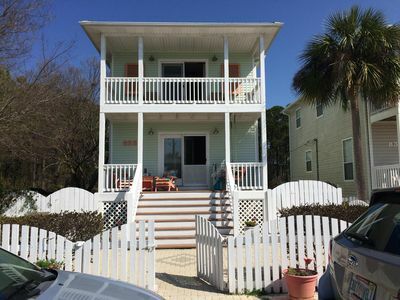 There's a screen porch downstairs to relax and enjoy the night air off the gulf and a huge deck upstairs with Adirondack chairs and patio table and chairs to enjoy the sunsets over the water. Bed and bath linens are provided. 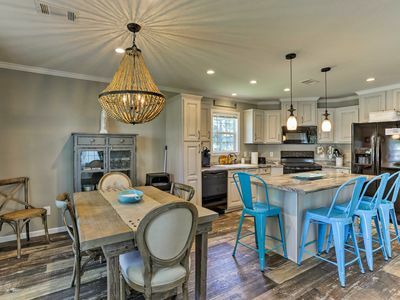 Full kitchen with ice-maker in the refrigerator, stove and oven range, microwave and toaster. Fully stocked kitchen with pots and pans, silverware and utensils. This is a non-smoking unit. Pets up to 25 pounds are allowed. Please restrict smoking to outside areas. “Free Wi-Fi”, cable and phone with unlimited long distance. 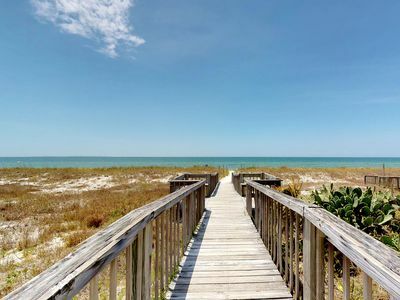 You’ve discovered the unforgettable seaside town of Mexico Beach, located on Florida’s “Forgotten Coast.” Our secluded town, just 20 minutes east of Panama City Beach, offers the same white sugar-sand beaches and emerald waters, without the crowds and over-development found elsewhere. 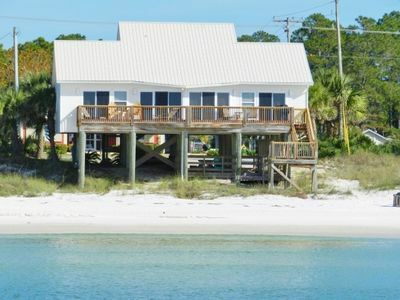 A well-guarded “secret” vacation spot of families for generations, Mexico Beach is a time capsule of living memories that hearken back to the way it used to be. 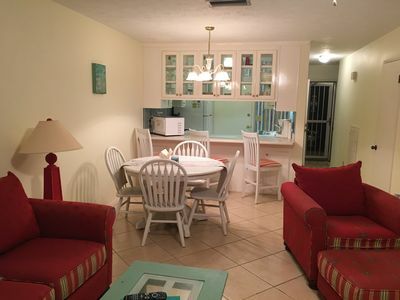 Long, relaxing days on our uncrowded white-sand beaches, genuine mom-and-pop restaurants and shops, and some of the best sport-fishing in the world are waiting for you in Mexico Beach." 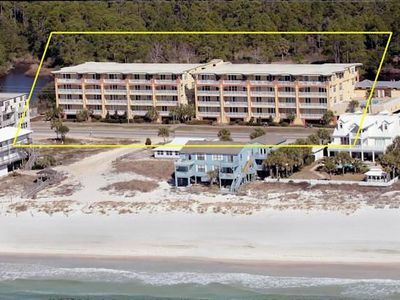 Available Beginning May 2019 - 3/3 Directly across from dedicated beach. 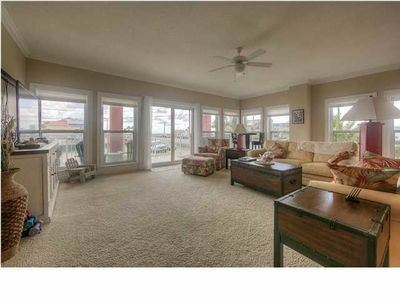 Gulf front 2 BR with the size of a 3 BR! WOW!!! What a view!!! 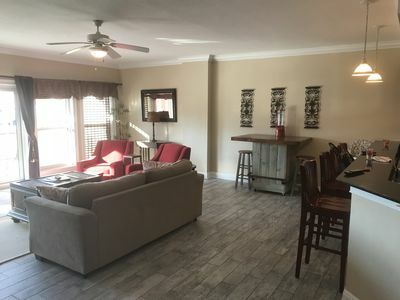 10 % off Last minute availability for May 31- June 13! 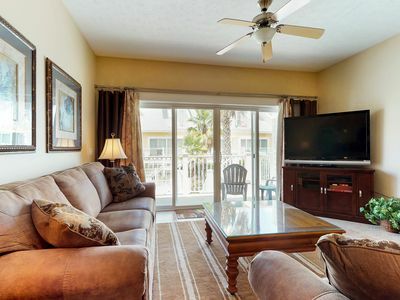 Enjoy some "Quiet Time" in a Cozy Beachside 2BR Townhome Steps from the Beach! All remaining weeks from Jul 28-Oct 20 DISCOUNTED! Hope to be back open June 2019 in Mexico Beach! Book Now! 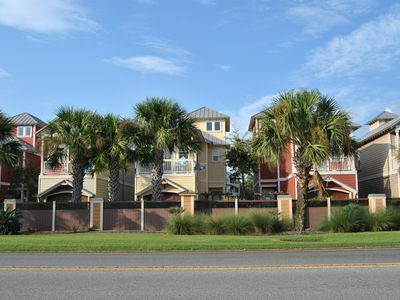 Amazing house and location in Waterside Village, short 300 steps to the beach! NEW LISTING! 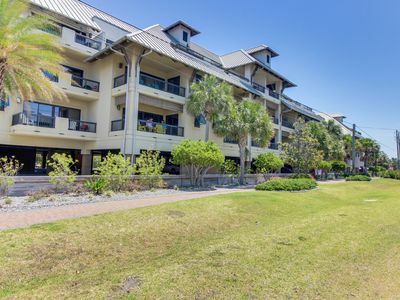 Bright & comfortable condo w/ a shared pool, private beach access! NEW! 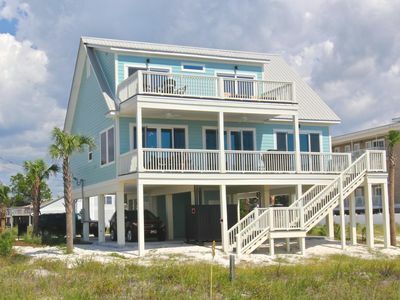 Mexico Beach Cottage 1.5 Blocks to the Beach!